SEPTA is urging its riders to be in a heightened state of awareness and to report anything suspicious after bombs exploded last weekend in New York City and New Jersey. Police Chief Thomas J. Nestel III stressed Monday that law enforcement agencies are not aware of any threats made against SEPTA. But he said the transit authority is taking extra precaution by raising patrols and asking riders to be alert. "There's been great success this weekend with average citizens — Average Joes — calling 911 and saying there's something suspicious here," Nestel said. "That's how we protect people. You'll see more police throughout the region. It's going to be a higher profile. We have no information that we're in danger in Philadelphia. 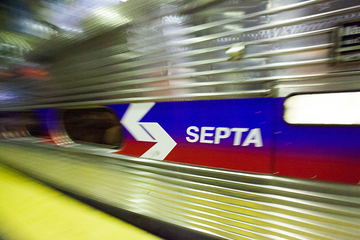 We have no information that SEPTA is at risk. But we're asking people, if you see something, say something." A bomb exploded Saturday in Manhattan's Chelsea neighborhood, injuring 29 people. An unexploded pressure cooker was discovered several blocks away. In Seaside Park, New Jersey, a pipe bomb exploded before a charity race, but no injuries were reported. On Sunday, five explosive devices were found in a trash can at a train station in Elizabeth, New Jersey. The FBI arrested a suspect in the Chelsea and Jersey Shore bombings on Monday morning in Linden, N.J.